Overview: Whether your truck is stock height or lifted and running oversized tires, Pitman and Idler arms have always been a problem on the steering systems of the GM and FORD vehicles. The Pitman and Idler arm Support kit by Cognito Motorsports fixes a wear problem that is present on the factory and aftermarket steering system. Aftermarket companies have come out with heavier duty pitman and idler arms that fail the same way that the factory parts do. The design created by Cognito Motorsports solves the problem in an innovative way that no one else has been able to create before. This design works so well that we were able to obtain a UTILITY PATENT. The problem when not using the Cognito Motorsports Pitman and Idler Arm Support kit: If you are not familiar with how the GM steering system works, here is a quick lesson. The pitman arm is connected to the output shaft of the steering gear box. When you turn the steering wheel of your vehicle, the motion is directed to the steering gear box which then rotates the pitman arm. The pitman arm has a stud protruding from the end of it where the center link connects, also called the drag link. To help control steering motion, the center link is connected to an idler arm on the passenger side of the vehicle. The idler arm is bolted to the frame and swings in the same arc as the pitman arm, and is fastened to the center link the same way the pitman arm is. The two mounting points for the center link give it support in the motion left and right relative to the vehicle, but there is not enough support in the direction of forward to backward relative to the vehicle. 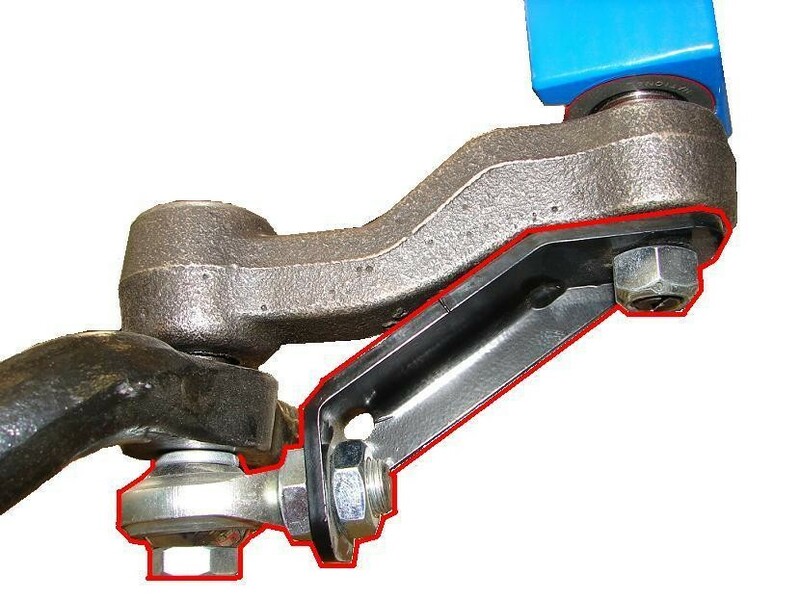 This lack of support is what causes the joints inside of the pitman and idler arms to wear out, which provide the pivot and connection point for the center link. The larger the tire on the vehicle, the faster these joints wear out. Aftermarket companies have come out with beefed up pitman and idler arms, but still have the same premature wear issue in the same joint. 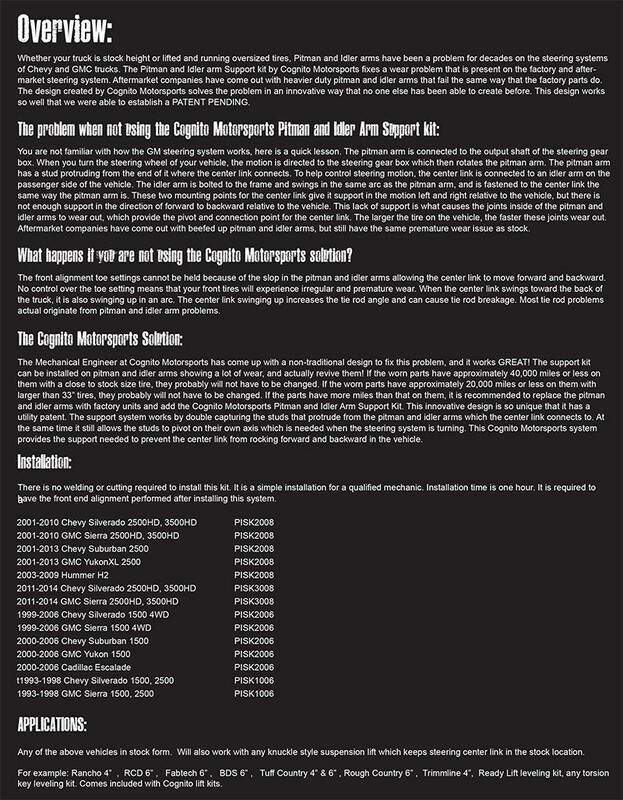 What happens if you are not using the Cognito Motorsports solution? The front alignment toe settings can not be held because of the slop in the pitman and idler arms allowing the center link to move forward and backward. No control over the toe setting means that your front tires will experience irregular and premature wear. When the center link swings toward the back of the truck, it is also swinging up in an arc. The center link swinging up increases the tie rod angle and can cause tie rod breakage. 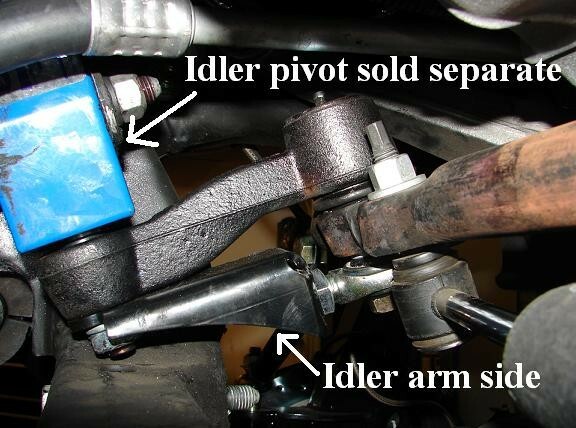 Most tie rod problems actual originate from pitman and idler arm problems. 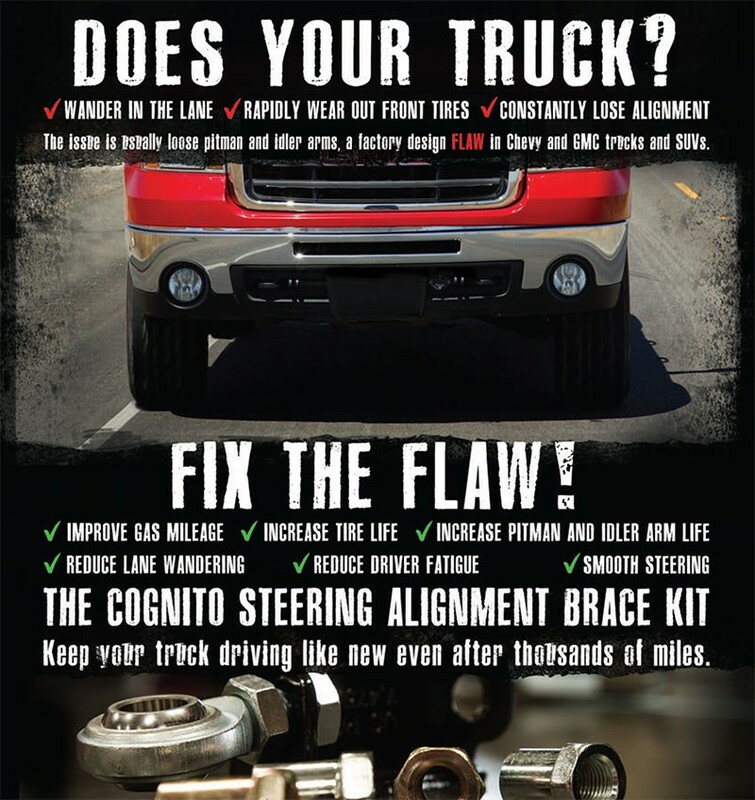 The Cognito Motorsports Solution: The Mechanical Engineer at Cognito Motorsports has come up with a non traditional design to fix this problem, and it works GREAT! The support kit can be installed on pitman and idler arms showing wear, and actually revive them by limiting the movement in the worn direction! If the joint in the pitman and idler arm is not worn excessively, they probably will not have to be changed (this should be determined by a qualified mechanic). 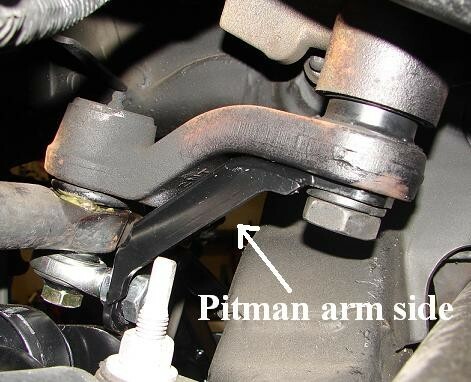 If the pitman and idler arm are excessively worn, it is recommended to replace the pitman and idler arms with factory units and add the Cognito Motorsports Pitman and Idler Arm Support Kit. This innovative design is so unique that it obtained a UTILITY PATENT. The support system works by double capturing the studs that protrude from the pitman and idler arms which the center link connects to. At the same time it still allows the studs to pivot on their own axis which is needed when the steering system is turning. This Cognito Motorsports system provides the support needed to prevent the center link from rocking forward and backward in the vehicle. Note: Please do not order if you have one of the following lift kits. This Kit is not recommended for the following lifts due to change in geometry or modified steering center link components found in some of the following. Binding seen with the following can result in failure, please cycle the steering full lock to lock before you drive your truck if you have any other lift that is NOT a Cognito Motorsports to insure safety.